When we build an image in our mind of something we deeply desire and we plant the idea in our subconscious, consider how it’s like planting a physical seed in the garden. 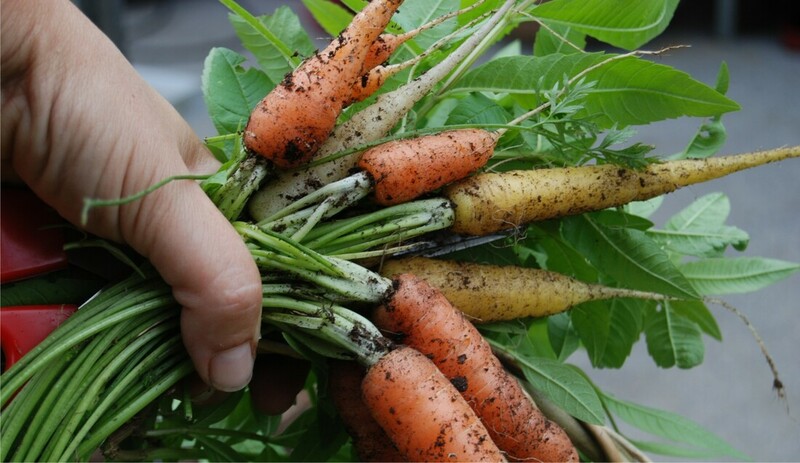 Imagine we plant a carrot seed in a carrot-happy environment. We know that with proper nourishment it will mature and be ready to harvest in about 70 days. Just because we can’t see the growth that’s taking place below the surface, we don’t question whether the process is going to “work.” We understand that there is a gestation period for every seed. How do you know what the gestation period is for the goal you have set? Will it be 70 days or 70 months? Essentially, you’re guessing. There are a lot of factors involved – some external, many internal. If the date has passed, and the goal is something that is important to you don’t change the goal – change the deadline. Maybe you simply need more time. This can be tough to accept if, like me, patience is not one of your strongest virtues. Review your strategy, reassess your action plan, get input from a trusted advisor, but above all, don’t give up. When a seed is planted in the ground, it instantly begins to attract what it needs to grow and an extensive root system begins to develop which is not visible from the surface. Similarly, once you firmly commit to a goal, the universe begins to respond accordingly even though you may not see with your physical senses what is moving towards you for the achievement of your goal. If you can see yourself in your mind’s eye already in possession of the goal and hold that image, eventually the goal must come to fruition. Rather than ditch the goal, keep nourishing it and eventually you will experience harvest time.